Multi-disciplinary design studio and creative partner to individuals and brands operating in a global marketplace. 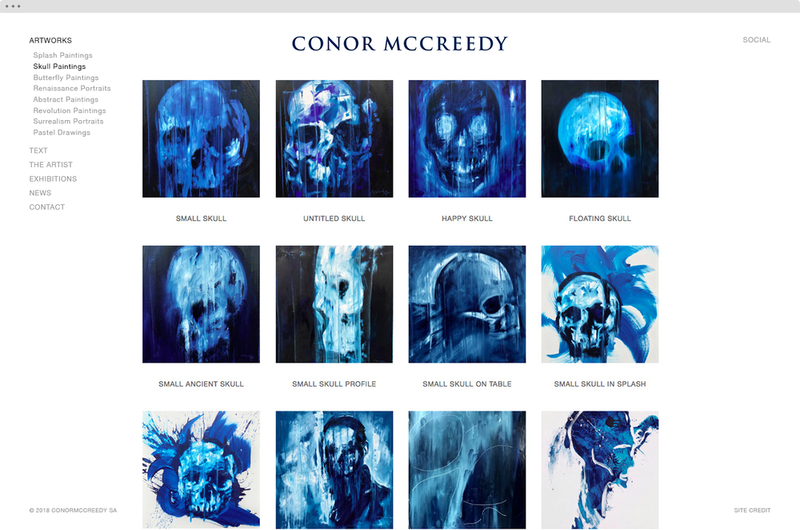 Conor is a South African artist working out of his global atelier in Zurich, Switzerland. 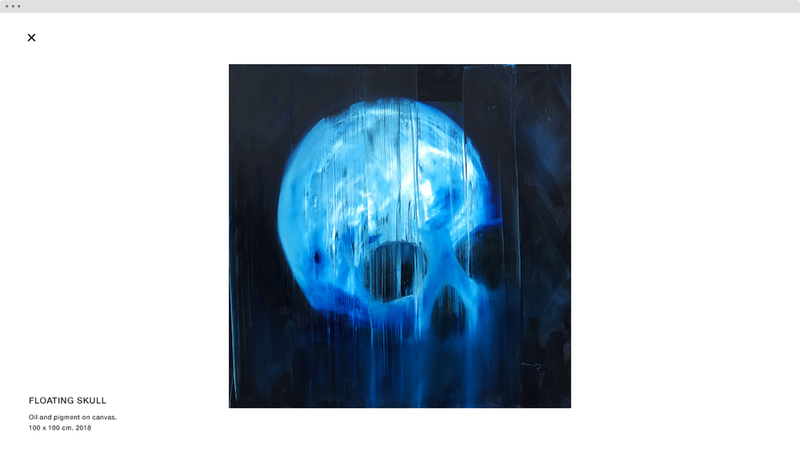 He is best known for his large scale splash paintings and the creation of his unique shade of blue which he calls Mccreedyblue. We were commissioned by Conor to design a simple and professional website in-keeping with the traditional museum structure of displaying art. 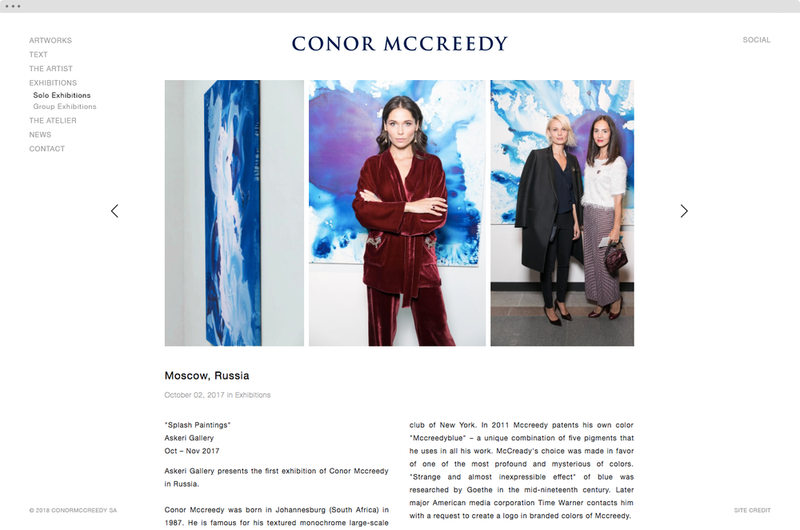 We worked closely with the artist to structure the content and design the navigation to what an art lover, collector or gallerist would expect to see and experience. 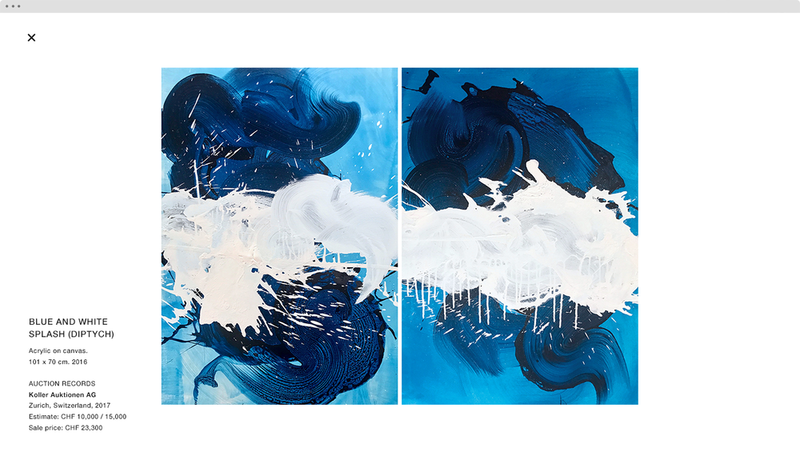 We left ample white space for minimal distraction from the artworks, text neatly justified to the width of any accompanying image, and museum-standard artwork titles and descriptions tucked away at the bottom left in lightbox view. Being a Swiss-based artist, we naturally chose Helvetica as the site-wide font.